ONCHAN, Isle of Man – March 21, 2017 – Today is officially one year since PokerStars, the world’s largest online poker site, launched in New Jersey and celebrations are in full swing with a range of innovative promotions on offer to suit all. The schedule for the month-long birthday celebrations for PokerStars NJ has just nudged past the half way point, yet it still is gifting fun and cash and giving players even more opportunities to win, and to win big, at PokerStarsNJ.com, an Amaya Inc. (Nasdaq: AYA; TSX: AYA) brand. For new players, there is a $50 in free play offer, while current players who deposit during this period could enjoy an instant windfall of up to $10,000 with the Mega Cash Bonus. There are enhanced poker prize pools galore, including the $100,000 guaranteed Big Sunday on April 2, and pedal-to-the metal tournaments such as The NJ City Series that delivers a choice of poker games to play, culminating on March 26 in an online Atlantic City NLHE Main Event with a $50,000 guarantee. The last 12 months have seen very many highlights for PokerStars New Jersey with a massive 32 great player promotions up to now, the largest tournament series New Jersey had ever seen - the New Jersey Championship of Online Poker (NJCOOP), PokerStars sponsored live and “onlive” events, all sorts of online Festivals and Series, and mega winning moments such as when ‘VaderWolf’ hit the $100,000 Spin and Go Jackpot in January. His excitement was so infectious that his video has already been shared across social media more than 30,000 times. These are just a few of so many amazingly feel good moments that PokerStars NJ has delivered, and is committed to delivering many more over the next year. PokerStarsNJ.com has led the way in New Jersey since its return, guaranteeing more and awarding more in scheduled tournaments than any other NJ online poker site. The online brand was also brought to life with the first PokerStars Festival New Jersey in October at Resorts Casino Hotel in Atlantic City featuring many representatives of Team PokerStars including Jason Mercier, Vanessa Selbst Chris Moneymaker, Jen Shahade, Randy Lew, Jamie Staples, Fatima Moreira de Melo, and Daniel Negreanu who hosted the PokerStars sponsored Chad Brown Memorial poker tournament during the Festival. 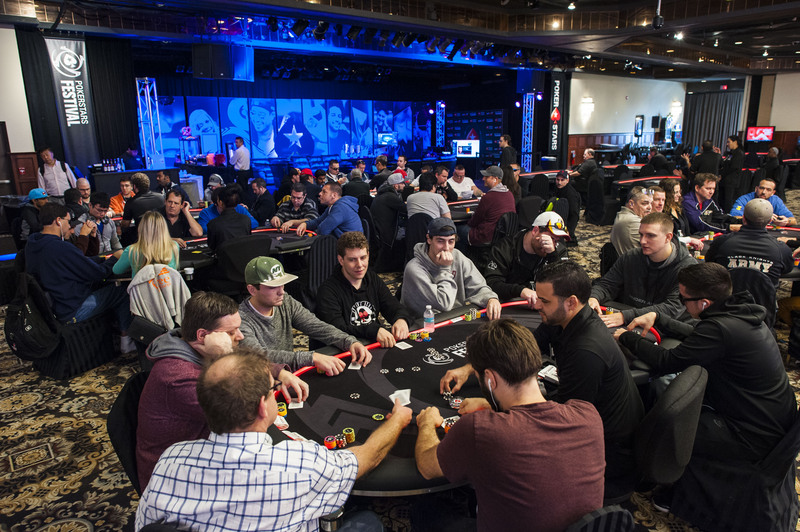 One thing players can be certain of as PokerStars NJ starts its second year is the commitment it has to creating even more memorable milestone moments for poker lovers. PokerStars NJ is ultimately owned by Amaya Inc. (Nasdaq: AYA; TSX: AYA). Amaya US Services Limited, a subsidiary of Amaya Inc., is an internet gaming operator of Resorts Digital Gaming LLC (d/b/a "Resorts"), which is authorized and regulated by the New Jersey Division of Gaming Enforcement.